Plastic surgery is a constant battle of opinions and attitudes. From those heavily disapproving of it, calling it the offense to Mother Nature, over those supporting it as means to deal with disfiguration and age to those who are openly embracing it and celebrating its ways, claiming it’s a life changer and an ego-boost tool. Believe it or not, first surgeries date back from 4000 years ago. They were predominantly for correcting facial injuries. 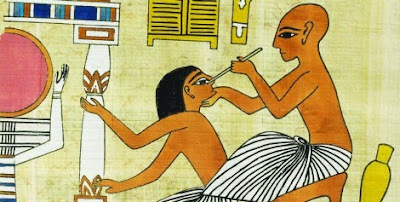 During reconstructive surgeries in 800 BC, doctors used skin grafts – well, at least they did in India. It was during the Roman period that the major innovations were made. When first surgical methods for the reconstruction of ear, lips and nose were adopted, plastic surgery saw its big breakthrough. And that’s not all. During Renaissance, the foundations for the modern breast reductions were established. The First World War saw the innovations of infection prevention and anesthesia. When it comes to plastic surgery, the one of the major differences between now and then is the change in the size of incision. The size of incision is directly proportional to the time needed for recovery. That is, the smaller the incision the easier and faster the recovery will be. Also, the patient is in less pain. When talked about minimally invasive surgery, it’s the talk about laser surgeries. The new technology of laser surgery can remove wrinkles, forehead creasing, crow’s feet, and help lift lower and upper eyelid. Some of the newest procedures are laser liposuction which is getting more and more popular. It is just as effective as the regular one but with no scaring and with less time needed for recovery. Back in the days, there existed nonsurgical procedures for correcting signs of aging called lunchtime procedures. There were done only during a surgical procedure and they include laser hair removal, botox, filling creases with fat and collagen and laser vein removal. That cosmetic surgery isn’t a new age thing proves the fact that fat grafting dates back from 1893! At the time, the fat was used to fill a depression on the human face. It was back in 1895 that fat was for the first time used for breast reconstruction. As for the liposuction technique, it was invented by a gynecologist Dr. Fischer in 1974. From 1985 on, we see local anesthesia becoming a must in all liposuction procedures. In the mid 80’s, plastic surgery got enriched for one more technique: transplantation or injection of fat obtained by liposuction. Obviously, nowadays, this technique, i.e. fat transfer is much safer owing to the advent of modern techniques and methods. 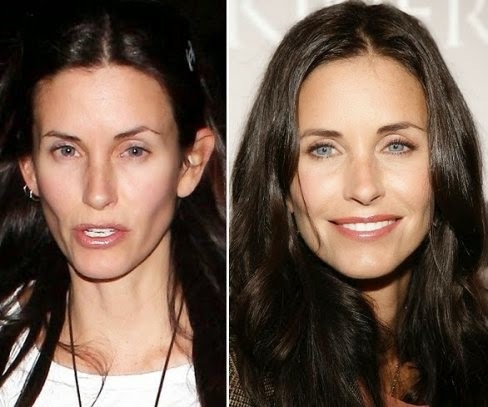 Most people who are pro or against plastic surgery have rarely bothered to check how it all came about. Well, an important name in facial surgery is that of Sir Harold Gillies who developed many techniques for treating soldiers during World War I. Another name you should know is that of Archibald McIndoe because he is, in a way, one of the fathers of modern cosmetic surgery techniques. For the first time in history, he was the one who treated very deep burns. He is also celebrated for recognizing the importance of rehabilitation of patients. And that’s not all - he is also known for inventing a walking-stalk skin flap. Owing to this flap, infections were considerably reduced. Everything got much easier with the arrival of anesthesia. What made plastic surgery turn towards the individuals was the advent of laser and its use in cosmetic procedures. Given that different laser intensities can be achieved depending on the patient’s needs made such a huge difference in the field of cosmetic surgery. Radiofrequency played such a big role in facial rejuvenation as it made it much easier. How so? This technique can remove damaged layers of skin after what your face has its initial glow. Further, the aforementioned fat transfer grew to be one of the most popular cosmetic procedures. This is particularly popular for face fat transfersurgeries where fat is transferred from the thickest part of your body to your face, rejuvenating it and giving it its natural elastic feel. Coming from a Greek word meaning “the art of modeling”, cosmetic, i.e. plastic surgery is one of the most popular medical procedures nowadays! Who knows what’s coming next but – we can’t wait! Interesting sharing. Have a good day!